The AudioBox 1818VSL records and plays back at sampling rates up to 96 kHz, with remarkably low noise. 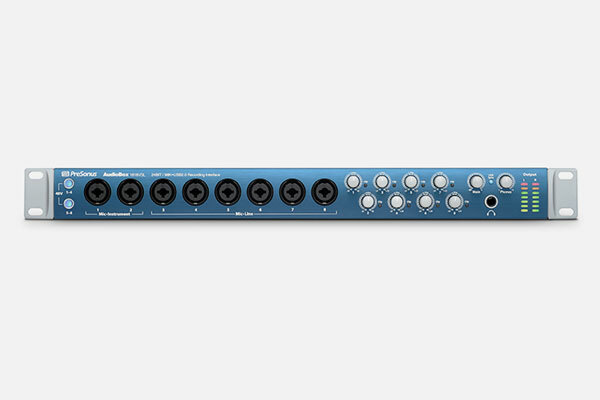 It features the same Class A XMAX microphone preamplifiers as our StudioLive AI mixers, which are found in recording studios and live venues the world over. The result is clean, pure, audiophile-quality sound. The AudioBox 1818VSL’s two combo mic/instrument and six combo mic/line inputs make it extremely versatile, enabling you to use it with microphones, guitars, keyboards, DJ gear, and more. But that’s just the start: The 1818VSL is loaded with features that make it suitable for almost any studio situation and on the road.